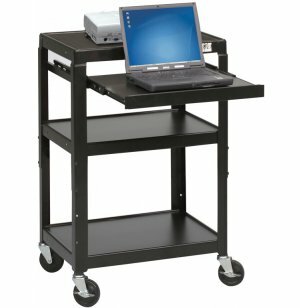 Ideal for schools, businesses, social programs and more, these Adjustable Laptop Carts from Balt get multimedia presentations wherever they need to go. 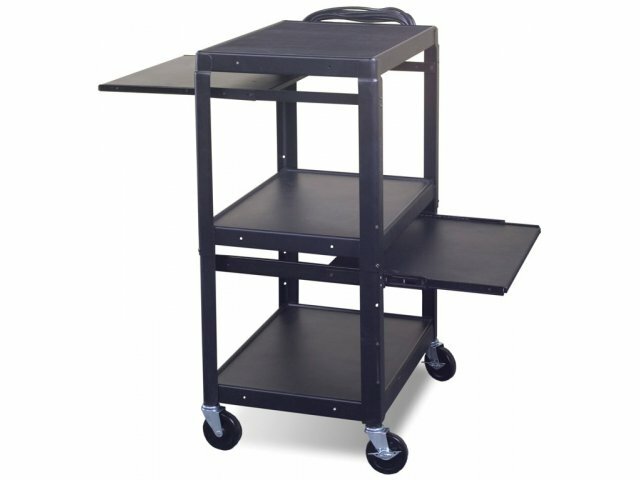 These convenient laptop carts feature four shelves including a retractable laptop shelf and a top shelf with a non-skid mat for projectors and other equipment. All-steel construction provides superior strength. Includes an electrical assembly with four outlets and a 25' cord; rolls on four 4" casters (two locking). Adjusts in height from 26-42". 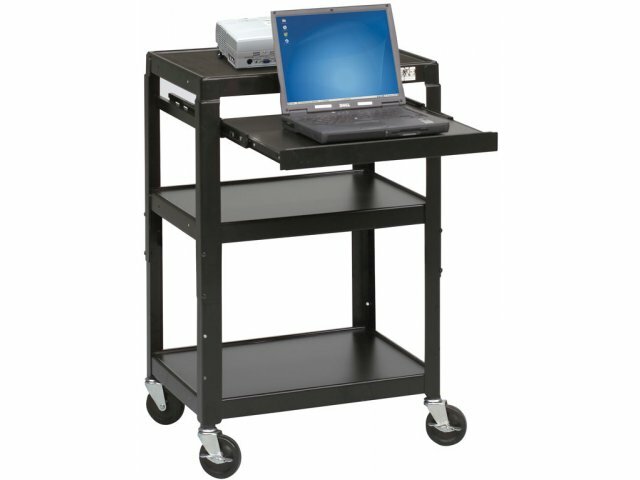 Convenient: These laptop carts move everything you need for multimedia presentations in one convenient cart. Practical: Retractable laptop shelf and non-skid mat let you transport expensive equipment safely and easily. Durable: All-steel construction is extra strong and highly durable. Power Ready: Includes an electrical assembly with 4 outlets and a 25' cord.